Jane Carthy » Archive » Serious incidents in healthcare: What’s the true cost? How much does the NHS spend each year managing and responding to serious incidents? The cost of additional treatment for the affected patient. Business costs that accrue when, for example, healthcare staff are suspended. The tool aims to focus senior manager’s attention on the financial implications of not investing in patient safety. In a climate driven by finance and efficiency savings, we need tools like the Healthcare Serious Incident Cost Calculator to ensure patient safety does not become a secondary goal. What’s the true cost of serious incidents in healthcare? 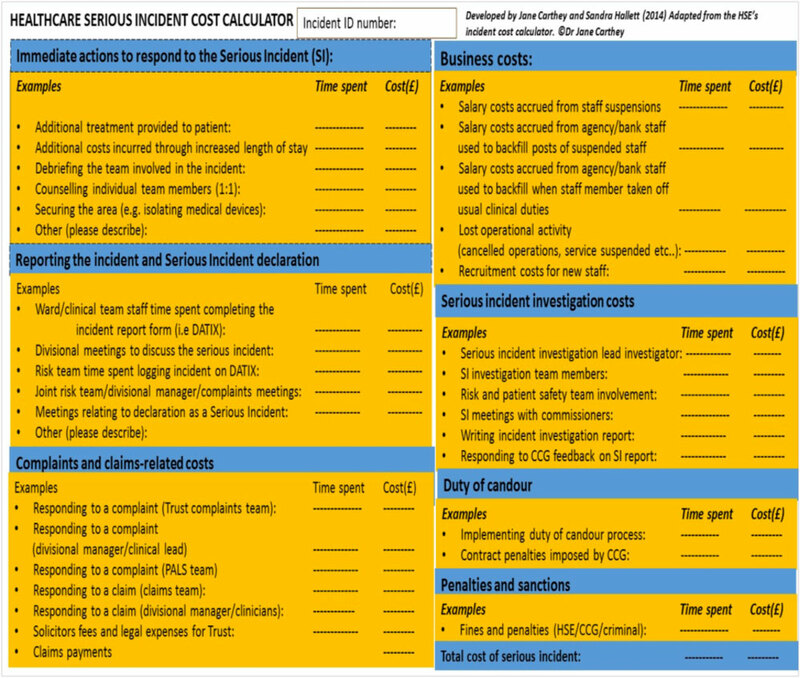 We don’t know, Maybe by applying the Healthcare Serious Incident Cost Calculator we can begin to understand?